THE mall music’s in full festive swing and colleagues are beginning to bandy about gift ideas. It’s time to start pinning down that restaurant booking before seats get elusive. 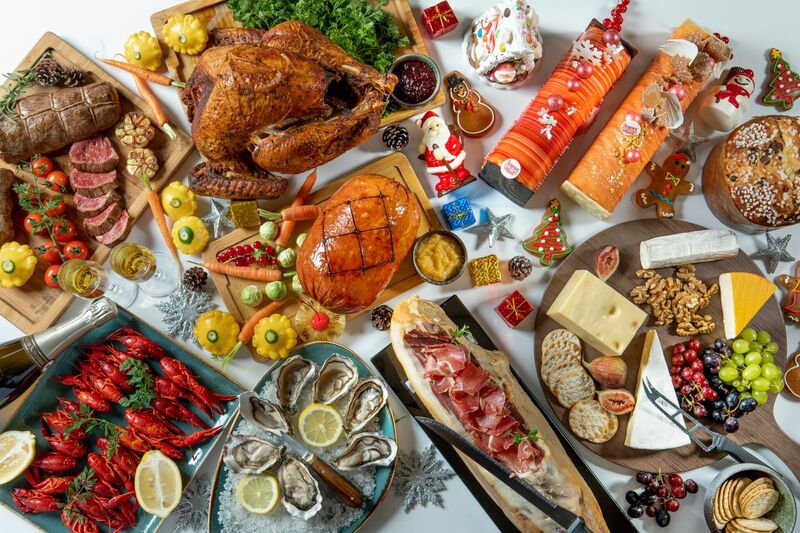 Here’s our constantly-updated list of offerings and special menus that restaurants in Singapore are serving up for Christmas 2018. More information here. Tel: +65 6887-5885. For families, couples or buds that absolutely adore their cuts of meat, new-ish entrant Wolfgang Steakhouse’s second Christmas menu looks pretty enticing. They look pretty confident in their four-courser, which starts off with beef barley and lobster mango salad – then presents you with roast turkey AND a signature USDA Prime Black Angus porterhouse. Save room for the steak, we implore you – Wolfgang’s is one of those rare establishments in Singapore that take dry-aging very seriously, resulting in additional umami and depth of flavour. One glass of bubbly comes with every set. More information here. Tel: +65 6732-1234. If you’re crazy about hearty Italian fare, Pete’s Place is an institution you can trust to serve up some authentic plates. The charming interior, reminiscient of a trattoria, is the perfect setting to savour the rich spread, which includes poached prawns and freshly-shucked oysters, the indispensable roasty turkey, crabmeat pasta and an assortment of wood-fired sourdough crust pizzas. Polish it off with festive dessert offerings, including panettone bread & butter pudding and the timeless tiramisu. Address: Level 2 Destination Singapore, 700 Beach Road. More information here. Tel: +65 6679-2900. Chef Damian D’Silva’s culinary passion and prowess comes to the fore again as he taps into his childhood to present a yuletide-focused menu, comprising seven festive dishes (all of which, save for the Eurasian Christmas Pie and Bolu Cocu are available for take-away). Heading the charge are three mouth-watering curry-based dishes, each with their own personality; the White Debal, the Eurasian Pork Vindaloo and Dry Mutton Curry. Suffice to say, working a myriad of flavours into charismatic blends and juicy meats is right in D’Silva’s wheelhouse, so we’re pretty sure these will leave an imprint in your food memory for months to come. Be sure to dig into the divine, brandy-infused sugee cake as well. Chill out at the lounge after dinner in the dark. More information here. Tel: +65 6298-0708. NOX makes the list easily as it’s likely the most unusual dining concept on the island, even if the restaurant’s been operating sold-out dinners for years. Stow away your phones and smartwatches in a locker and prepare to be robbed of your sense of sight. Trained servers – some bereft of eyesight, so they’re in their element – lead you through a veil into pitch-black darkness, where you’ll spend twelve dishes’ worth of time groping carefully for your cutlery and tenderly handling your food. Your heightened senses of touch, smell, taste and hearing make each bite and sip that much more electrifying, and time distends in the distraction-free room (kiss social media goodbye). It’s something you have to try at least once. Amuse bouche, welcome cocktail and petit fours inclusive – as is snagging a mystery present in the dark. More information here. Tel: +65 6438-0410. Surrender yourself to Chef Christopher Millar’s immaculate creations as he presents decadent fare, beginning right from the hors d’ouevres. Tuck into full-blood wagyu beef hailing from Mayura Station, where they feed chocolate to the cows, or savour the gamey slow-cooked kurobuta pork neck. Turkey breast will be served steamed with pistachio and pancetta. Dessert’s an assortment of earthy and piquant – we’re not going to spoil the surprises, but the finishers look like reason enough to go. More information here. Tel: +65 6834-3133. If you’re a little tuckered out from just turkey and sit-down dinners, turn to the local delights in buffet form served at Straits Kitchen, which will field local Chinese, Indian, Malay, and Peranakan cuisine (and, well, turkey and potatoes). Some specials unique to this menu are ketam lemak simmered flower crab and an intriguing Tandoori turkey breast as well as molly machi barramundi curry. Those with a sweet tooth can knock themselves out with over 25 local desserts on hand – including yet another special, a purple sweet potato log cake. More information here. Tel: +65 6730-3395 . If there’s one thing we remember about exec chef Yohhei Sasaki’s ethos, it’s that he’s both generous and masterful with the high-grade ingredients. We don’t expect his Christmas menu to deviate from his high standards. Case in point: The menu begins with the simply-named Trio of Eggs – but really you’ll be having caviar and ikura alongside an intoxicating, smoked quail egg. Snap up the limited seats before they’re gone – Sasaki has a silent fan following and the man loves that the space seats no more than 50, so he can lavish attention and his boyish charm on his delighted guests. Dates: 24 – 25 December 2018, dinner both days, brunch only on 24. More information here. Tel: +65 6475-0200 . For those who prefer a relaxed affair set away from the hubbub, consider the calming ambience of The Coastal Settlement, tucked away deep in the lusher areas of Netharavon Road off Changi. The restaurant, already lauded for its generous portions of respectable fare, are laying out a pretty extensive buffet spread that checks off all the Christmas boxes. Welcome drink of bubbly (or sparkling cranberry for the young) included. This list will be expanded daily as curated information comes in – return occasionally for updates.